Opened in December 2009, Dunia is a small, semi-permanent camp tucked away in a private location amongst the Moru Kopjes, between the known territories of Ndutu and Seronera. Strategically placed it allows access to some of the best game-viewing areas available in the Serengeti. 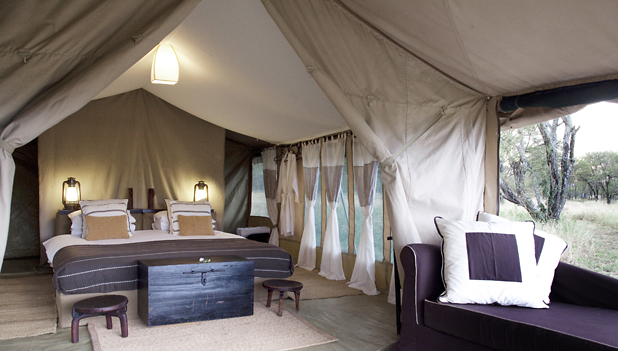 Each of the seven spacious tents features an en-suite bathroom and private veranda overlooking the kopjes. Although the structure of Dunia is that of a mobile camp, the attention to detail, spaciousness and luxurious quality imparts a feeling of permanence.